The military law attorneys at Tully Rinckey PLLC were servicemen and women long before they became lawyers. With their combined 200+ years of military service and law experience, they know the military, they know the law, and are ready to fight hard on your behalf. Because they began their education in the field, rather than the classroom, they are uniquely qualified to both communicate with military personnel and gain respect in military courts. 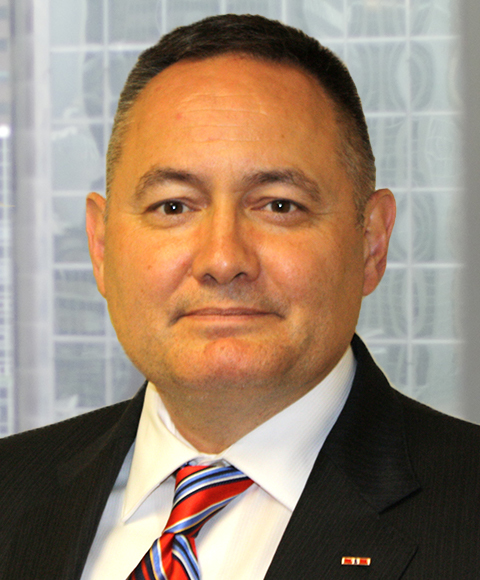 Our Service-Disabled Veteran-Owned law firm was founded by Mathew B. Tully, a retired Lieutenant Colonel in the New York Army National Guard who has stepped away from his legal career three times in recent years for deployments to Egypt, Afghanistan and Iraq. He understands what it means to be a service member and has built one of the largest and most experienced military law firms in the world to fight on behalf of those who serve in the United States military. We were service members long before we became military attorneys and are ready to serve you with a combined 200+ years of military service and law experience. We’ve been to war, we’ve led troops, and we understand the pride and pressure that only a service member knows. Our military experience is what makes us effective military lawyers today. We began our education in the field, not a law class. We can communicate with military personnel and gain respect in military courts because we’ve been on the other side. We know the military, we know the law, and we’re ready to fight hard on behalf of our military clients. More than just experience, our team of military attorneys is nationally recognized for its ability to win cases against tough odds. Lieutenant Colonel (Ret.) Tully put the firm on the map with a string of high-profile, landmark victories, and has assembled a team of military lawyers with proven histories of changing the military law landscape through knowledge and tenacity in all matters faced by service members, including but not limited to courts-martial, discharge upgrades and Board of Correction issues. We fight aggressively on behalf of our clients using the same fearless determination we displayed as members of the armed forces. We are equipped to handle military law issues of any magnitude for military personnel located around the world. Our current roster of clients resides in places across the country as well as foreign locations such as Afghanistan, Iraq and beyond. Our military lawyers travel around the globe to represent clients in addition to working by telephone and through videoconferencing. We are not intimidated by complicated matters, remote locations or difficult cases. Why Should You Hire a Civilian Attorney for Your Court-Martial? A court-martial is a serious matter for any service member. Conviction can not only end your military career, but it can result in jail time, fines, and other punishments. A dishonorable discharge and a criminal conviction can also have a negative impact on other areas of your life, including your ability to seek employment or secure housing. At Tully Rinckey PLLC, our military law attorneys are prepared to provide you with aggressive representation. Several of our lawyers are former JAG officers who understand the military system and are prepared to aggressively advocate for your rights. If you’re facing a court-martial, we’ll protect your rights every step of the way and ensure that you’re treated fairly. If the government provides you with a free JAG attorney, why should you pay for one? A court-martial is a serious matter with serious consequences. Using a “free” appointed JAG attorney may turn out to be costly to you in the long run. A court-martial is not a fair fight. The government goes to great lengths to investigate, prosecute and find you guilty. This could result in you losing everything you have worked so hard to accomplish. Your military career, your future and even your freedom are at stake. All that you have in your corner is a military-appointed attorney with minimal trial experience. The military law attorneys at Tully Rinckey PLLC understand what is on the line. They have served in the JAG Corps before becoming civilian attorneys. They have experienced courts-martial from both sides – the prosecution and the defense. They know the military, they know the law, and they will use their experience to aggressively fight for you. You should be consulting an attorney as soon as you learn you may be under criminal investigation. The military will often not assign you a JAG until charges are preferred against you. This means you may not have any legal representation while you are being investigated or being questioned – a critical time in an investigation. Often times a criminal defense attorney can intervene before you are criminally charged to negotiate an alternative disposition. It is also important to signal to the prosecution that you are going to fight any charges aggressively, hiring aggressive civilian defense counsel before you are charged signals this to the Government prosecutors. This is why hiring a knowledgeable and experienced civilian defense attorney with military law experience during the investigation phase is critical. You can consult the civilian attorney while you are under investigation and potentially being asked to be questioned by law enforcement rather than after the fact. If a question can lead to self-incrimination, your civilian attorney will instruct you to invoke your Article 31 rights. If charges are preferred against you, your civilian attorney will work with you and your assigned JAG defense attorney – should you choose to have one – to create the best possible defense. Do not wait to be assigned JAG representation when an investigation begins. Consult a civilian attorney with strong military defense experience to get a jump start on your defense. Federal employees who left their agencies to serve in the United States military, in connection with operations relating to fighting international terrorist groups and the countries that harbor them, are entitled to additional Paid Military Leave. A recent U.S. Court of Appeals ruling has opened the door for federal employees to file claims with the Merit Systems Protection Board (MSPB) to receive additional Paid Military Leave. Those who have since retired from federal service will receive their adjusted Paid Military Leave as a lump sum payment. Non-judicial punishment proceedings are known by different terms among the services. In the U.S. Army and U.S. Air Force, it is referred to as Article 15; in the Marine Corps, it is called Office Hours; the U.S. Navy and U.S. Coast Guard call non-judicial punishment Mast. No matter what it is called, it is a difficult and confusing time for any service member. Non-judicial punishment in the United States military is a form of military discipline authorized by Article 15 of the Uniform Code of Military Justice. The receipt of non-judicial punishment does not constitute a criminal conviction. Depending on the level from which the punishment was authorized, it will be either a temporary or permanent mark on your service record. Because it is included in your service record, it is a public record. A service member can be denied a commission if there is a non-judicial punishment on record. The process for a non-judicial punishment is governed by Part V of the Manual for Courts-Martial and by each service branch’s regulations. The purpose of an Article 32 hearing is to inquire into the truth of the matter set forth in the charges under the UCMJ, to consider the form of the charges, and to secure information to determine what disposition should be made of the case in the interest of justice and discipline. An investigating officer is appointed to conduct the investigation. Usually, the investigating officer is not legally trained. Ultimately, the investigating officer will make the final recommendation for whether the case should proceed. Unlike a grand jury proceeding, the accused has more rights, which work to his benefit in an Article 32 hearing. Crucial differences include the right to call witnesses, to present evidence, and to cross-examine witnesses called by the prosecution during the investigation. The right to cross-examine witnesses is an excellent opportunity for the defense and can frequently lead to favorable resolution of the case. The testimony and credibility of a key prosecution witness can often be undermined. It also gives the defense a chance to get a better idea of what a witness might say at trial. The hearing also forces the prosecution to show their evidence in the case. Once this is out, it gives the defense an idea of just how strong the government’s case is against the accused. The entire hearing can serve as a mechanism for discovery by the defense, which is essential in evaluating how the case should proceed. Further, if the evidence is lacking, it presents an opportunity for the charges to be dropped completely. After the hearing is complete, the investigating officer must file a written report, which addresses the legal issues in the case that were raised and makes recommendations for the nature of the charges. The recommendation can range from dismissal of the charges to a General Court-Martial. However, the recommendation is just that. The appointing authority may still decide that a case needs to proceed when it was recommended for the charges to be dropped. If you are facing any charges under UCMJ and an Article 32 investigation, you need to consult with an attorney. You should not waive your Article 32 rights. It is a decision that you should discuss fully with your criminal defense attorney. The best option is to always have a complete understanding of the legal rights provided to you. 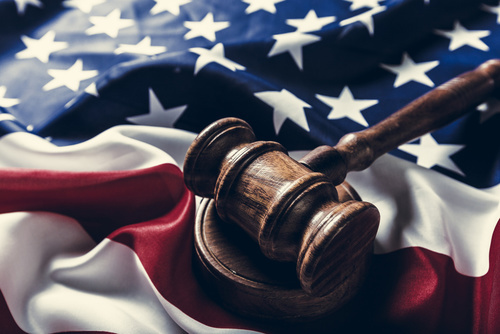 Our military legal team has years of experience in representing military members at courts-martial in charges ranging from drug distribution to murder. To set up a consultation, contact us at 5182187100. Cadets in the Reserve Officers’ Training Corps (ROTC) or any of the military Academies may be disenrolled from their program for numerous reasons including but not limited to misconduct, poor academic performance, honor code violations, and medical issues. The disenrollment procedure varies among the different military branches and departments involved, but in all instances, the cadet is subject to investigation. At the end of the investigation, the cadet will have the opportunity to dispute disenrollment charges through limited hearing procedures. The consequences for an involuntary ROTC or Academy disenrollment can be financially tolling as well as preclude a cadet from serving as a commissioned officer later in life. Former ROTC cadets may be required to reimburse the government all financial scholarships they received. Academy cadets may be required to reimburse the government for tuition assistance and/or grants. The amount of money varies from cadet to cadet, but can range from $15,000 to well over $100,000. In some instances, ROTC and Academy cadets may no longer wish to be enrolled in their program and petition for disenrollment. In these instances, cadets will be required to repay any scholarships/tuition grants or perform two years of active duty as enlisted rank in lieu of repayment. Actual requirements may vary based on the facts and circumstances of each case as well as the recommendations of a cadet’s commanding officer. 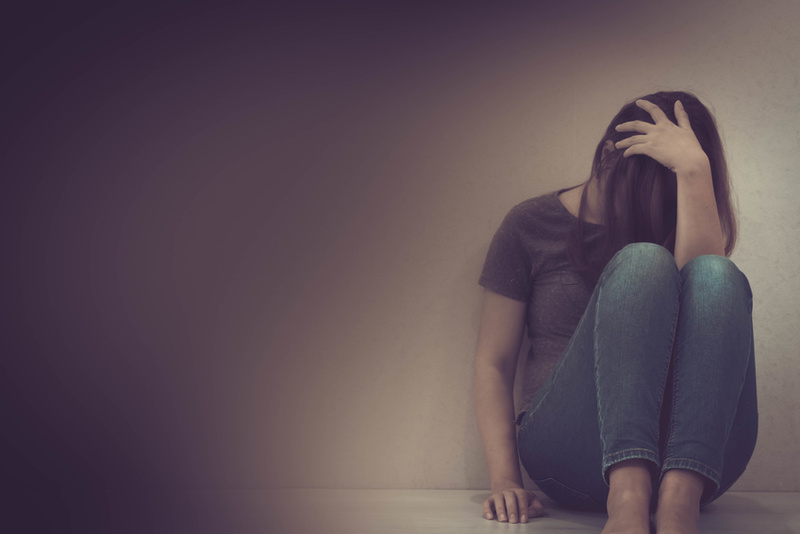 In all disenrollment instances, it is important to have an aggressive and knowledgeable attorney at your side to ensure the government properly handles your disenrollment proceedings. The attorneys at Tully Rinckey PLLC are well-versed in ROTC and Academy disenrollment law and have successfully handled disenrollment cases in the past. Founding Partner Mathew B. Tully and Managing Partner and Military attorney Greg T. Rinckey are both ROTC graduates and possess a comprehensive understanding of the ROTC system. Call Tully Rinckey PLLC at 5182187100 to discuss your options. The Board for Correction of Military Records is the highest level of administrative review within the various services, with the mission to correct errors in or remove injustices from service military records. Each branch of service has its own Board of Correction, but the procedures are basically the same. You apply to the Board of Corrections to request that an error be corrected or an injustice be removed from your military record. Many former military members have certain negative past history or a punitive discharge in their military record that they would like corrected. The Board is more likely to approve a correction if you have made some changes in your life and can prove that you have been stigmatized by the negative history for an extended period of time, and that in all fairness the stigma should be lifted (i.e. an AWOL from 10 years ago). The Board of Corrections can make these corrections to your military record. What powers does the Board have? The Board of Corrections can upgrade a discharge, remove a letter of reprimand and change the narrative reason for a discharge. For example, the Board can upgrade an other-than honorable (OTH) discharge received as a result of a discharge in lieu of a Courts-Martial. The Board can also remove a negative evaluation in your personnel file. This is not an all-inclusive list, but just several examples of the powers of the Board. Who may apply? Active duty service members and former members of the regular Army, Navy, Air Force, Army, Navy, Air Force Reserve, and Army and Air National Guard. If the former member is deceased or incompetent, the surviving spouse, next of kin or a legal representative may apply. However, the application must include supporting documentation such as a certified copy of a marriage license, death certificate or power of attorney, as appropriate. Are there any time limits? Yes, an application must be filed within 3 years after an alleged error or injustice is discovered or reasonably should have been discovered. However, the Board has the authority to waive an application filed untimely in the interest of justice. The process takes from 8-10 months to complete. Our military legal team is knowledgeable in working with the service Boards of Correction of Military Records. If you have negative history in your service records, contact one of them to help you apply to the Board of Corrections of Military Records. Contact Tully Rinckey PLLC at 5182187100 to set up a consultation on the facts of your case. The lawyers at Tully Rinckey PLLC know what it means to serve. In fact, a number of our attorneys, including both the Founding and Managing Partners, are veterans of the United States Military. This gives our firm a unique perspective on the importance of military service to our country. Because of this outlook, we are continually striving to help those who are seeking to enforce the rights afforded to them by reason of their military service, whatever their civilian careers might be. Service members with civilian careers who are called to active duty serve and protect our country. They should not suffer employment discrimination because of military service. Likewise, they should not come home from military duty to find they have no job or that they have been denied the benefits of employment they would have earned had they not been called to service. The Uniformed Services Employment and Reemployment Rights Act prohibits employment discrimination because of military service. The statute also provides a wide range of protection regarding reemployment with a civilian employer upon the conclusion of military service. Lastly, USERRA prohibits retaliation against those who seek to enforce their rights under the statute or who assist another in enforcing those rights. The recent change in policy to a “Deploy or Get Out” approach means that service members who have been non-deployable or will be non-deployable for 12 months or more will be processed for administrative separation or a medical evaluation board (MEB). If you have a medical or mental health condition that your commander or your physician may consider as medically unfitting, you will likely be referred for a Medical Evaluation Board (MEB) and potentially a Physical Evaluation Board (PEB). Regardless of your branch, there are generally as many as four opportunities to obtain the benefits you are entitled to. Tully Rinckey PLLC attorneys are here to ensure representation at every level throughout the Integrated Disability Evaluations System (IDES) process. It is very important to understand your rights throughout the process. You may waive your rights to a valuable pension if you don’t fully understand the process. The process begins with a referral to an MEB. Service members with medical conditions should educate themselves about their rights under the IDES. If you are injured while in the line of duty or while on active duty, you may be entitled to a Medical Disability Retirement (MDR) regardless of whether you are a member of a Regular or a Reserve force. Service members may become physically unfit for duty due to illness or injury. A service member is unfit for duty when they are unable to perform the duties considering their rank and duty position. Determining whether a member can reasonably perform their duties includes consideration of deployability. This applies to both the Active and Reserve Components of that Service. The process will generally begin with a Medical Evaluation Board (MEB). The MEB is tasked with preparing a report documenting the service member’s medical history, current physical status and recommend duty limitations. This report documents whether a medical condition(s) interfere significantly with the member’s ability to carry out the duties of the member’s rank and rate. This is generally referred to determining whether the member meets “retention criteria” to remain in the service. The service member has the right to respond to the report of the medical board. If the MEB determines that there is a significant medical issue with a service member’s ability to perform their duties then the case is referred to an Informal Physical Evaluation Board. The IPEB will make the initial determination whether the service member is fit or unfit for duty. If the member is dissatisfied with the IPEB finding, the member can appeal it by requesting a hearing before the FPEB. The determination of the IPEB is not binding in any respect on the FPEB. Thus, it is possible to have a worse outcome at the FPEB than was obtained at the IPEB. It is, therefore, very important to know how the entire process works before making a decision to appeal the determination of the IPEB. If it is determined that a service member is unfit for duty then the PEB must determine whether the injury or illness is service connected. This means that a determination must be made whether the illness or injury that caused the member to be found unfit was the result of the member’s military service. There is a rebuttable presumption that an illness or injury was incurred incident to service. Here at Tully Rinckey PLLC, we have assisted numerous military personnel in all branches of the U.S. military who were deemed deserters or being absent without official leave (AWOL) and wished to be discharged from the military. When a military member has been away from a command for more than 30 days, then it is probable that a Federal warrant for you arrest has been issued by your command and even a traffic stop can put you in jail until you are transferred back to the military. In the past, we have been able to secure an administrative discharge from service, without any criminal conviction or record, for extended periods of desertion – even up to several years. In most cases, it will be necessary for the service member to return to the military to get things resolved. This will usually take several weeks to resolve. Having a knowledgeable attorney can help speed up this process. We can use our knowledge of the military to coordinate your return to command or to the deserter processing facility. Upon your return, we can negotiate and work with the command to resolve your issue. In this type of situation, it is highly beneficial to have an attorney that has experience in military law and will aggressively fight for your rights. Military attorney Greg Rinckey is a former Army JAG, and he knows how to work the military system to get you successfully discharged from the military. Service members and non-military spouses pursuing a divorce face a unique set of challenges that civilians do not encounter when attempting to dissolve their union. Getting divorced is a complex process, and it is especially complicated in the military. Even attorneys who have practiced family and matrimonial law for years can find themselves at a disadvantage when attempting to represent a service member or a non-military spouse. Tully Rinckey PLLC’s military divorce attorneys can help you navigate the potential pitfalls that military families face in their legal matter. These pitfalls can lurk in the division of property, where to file for divorce, military retirement and disability pay, child custody and child support. The team of attorneys at Tully Rinckey PLLC can represent service members or their non-military spouses in New York, Texas, California and Washington, D.C. If you are located elsewhere, we can advise your attorney on the unique nuances of military divorce, child support and retirement or veterans’ compensation issues. Call us today to schedule a consultation with one of Tully Rinckey PLLC’s experienced military divorce lawyers. On Sept. 20, 2011, the military repealed Don’t Ask, Don’t Tell (DADT), the policy that had prohibited gays and lesbians from openly serving in the armed forces. The repeal followed President Barack Obama’s Dec. 22, 2010 signing of the Don’t Ask, Don’t Tell Repeal Act of 2010, which reversed the 1993 DADT law (10 U.S.C. §654). The repeal means gays and lesbians can no longer be separated from the military solely because of their sexual orientation. The military can also no longer prevent someone from serving or being admitted into the armed forces because of their statements about sexual orientation or lawful homosexual conduct. Become eligible for certain veteran benefits, such as those associated with the Montgomery G.I. Bill. Right now, any attempts to change the military records of former service members separated under DADT are cases of first impression, which means there is no precedent. Gay and lesbian former service members are blazing their own trail. Anyone who is about to take on this challenge need to beware and be prepared. Don’t just find a lawyer and expect everything will be taken care of. Former service members need someone who knows military law inside and out. A lawyer with little to no knowledge of military law will get lost in this post-DADT environment. The military law attorneys at Tully Rinckey PLLC have several decades of combined experience in the Judge Advocate General’s (JAG) Corps, and our founding partner is the only known civilian attorney to currently serve in the Army Reserves as a lieutenant colonel. If you are a flag or General Officer in the Armed Forces, you can expect to find yourself the subject of an Inspector General investigation at least occasionally—it goes with the territory. You almost certainly have one or more judge advocates assigned to you, but you must remember that those judge advocates do not represent you in your personal capacity. Ask your judge advocate whom he or she represents in a case where you have been accused of wrongdoing—the judge advocate will give you a well-rehearsed spiel to the effect of “I represent the United States Government, not you.” You cannot form an attorney-client relationship with your Staff Judge Advocate, and any information that you share with that Judge Advocate is not considered privileged. If you find yourself named in an Inspector General investigation, you have a great deal at stake—you should retain private counsel who understands the system and who represents only you. At Tully Rinckey PLLC, we are privileged to have Brigadier General (Ret.) Harris Jay Kline and Colonel (Ret.) Larry Youngner on our team. 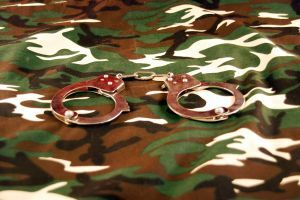 If you have already been convicted by a Courts-Martial, your appeal process is your final hope to obtain a lesser sentence or to overturn your conviction. The military’s appellate system consists of two levels, the Court of Appeals of the particular armed force involved and the Court of Appeals for the Armed Forces. All the Service Courts and Courts of Appeal for the Armed Services are located in Washington D.C.. The Supreme Court of the United States also has jurisdiction over military Courts-Martial appeals. Greg Rinckey was previously assigned to the Defense Appellate Division in Washington D.C. when he was an active duty JAG, he has written over 30 appeals and has argued before the Court of Appeals for the Armed Services. At Tully Rinckey PLLC, we have attorneys with vast knowledge of Military Criminal Law. Greg T. Rinckey is a former Army JAG lawyer who served as a prosecutor, defense attorney and appellate defense attorney. With countless military jury trials behind him, Greg Rinckey knows how to best present your case and protect your interests. Greg has tried cases from drug distribution to murder. We will fight for your rights. If you are suspected of a crime under the UCMJ, call us at 5182187100 for a consultation to discuss your case and to develop a defense strategy. We accept credit cards and can work out a payment plan that works for your situation. Tully Rinckey PLLC is a multistate, veteran-founded law firm devoted to defending the rights of service members anywhere around the globe. 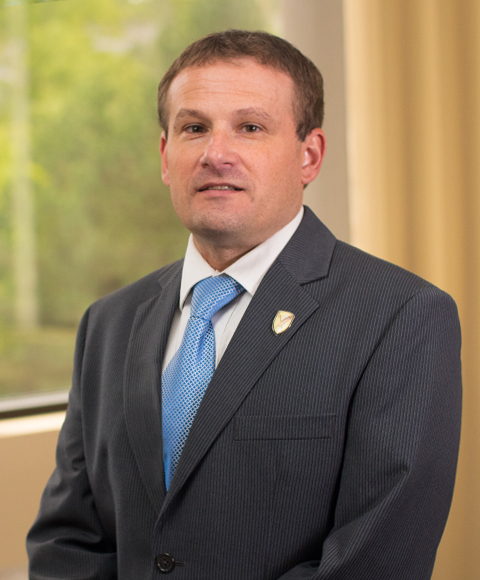 Our attorneys have a combined 50 years of experience in the Judge Advocate General’s (JAG) Corps, and our founding partner is the only known civilian attorney to currently serve in the Army Reserves as a lieutenant colonel. Tully Rinckey has represented service members based at military installations throughout North America, Europe, and Asia. We can represent clients via video teleconferencing, when applicable. Commissioned officers of the National Guard facing the potential removal of their commissioned status understand that they have much at stake. Withdrawal of federal recognition proceedings are held when a member of the National Guard ceases to possess the necessary qualifications under U.S. Code § 323 or the individual is no longer a member of a federally recognized unit or organization of the National Guard. At Tully Rinckey PLLC, our military law attorneys are prepared to provide you with aggressive representation. If you are facing a withdrawal of federal recognition proceeding on any base in any state or overseas, we will protect your rights and work to ensure that you are treated with the respect and fairness you deserve. Y.W. on Founding Partner on Greg Rinckey, Esq. A.M. on Senior Associate Michael Macomber, Esq. M.V. on Managing Partner Greg Rinckey, Esq. and Partner Larry Youngner, Esq. S. M. on Associate Sean C. Timmons, Esq.